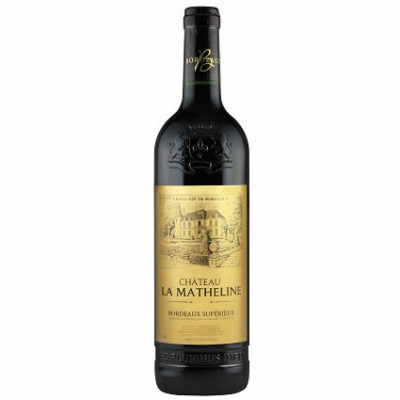 A predominantly Merlot blend with added Cabernet Sauvignon, Cabernet Franc and Petit Verdot, Chateau La Matheline Bordeaux Superieur is a deep purple in color with tones of dark garnet. A bouquet reveals hints of chocolate, tobacco and spicy wood. The palate is generous and smooth, with a medium body and ripe tannins. The finish is long with an attractive, lingering aromatic intensity.